Shanghai Daputang Art Co., Ltd. is a cultural company specializing in the sales of art, exhibitions and art events. The company’s Daputang Gallery was founded in 1995 and has been established in the United States, Japan and Shanghai, Beijing, China. Hangzhou and other places have successfully held nearly 100 art exhibitions. Since 1997, they have participated in the Shanghai Art Fair for more than ten years. Since 2004, they have been awarded the title of “China Integrity Gallery” by Shanghai National Museum of Culture for 14 consecutive years. The company’s long-term management has accumulated a wide range of artist resources, and its Chinese painting or oil painting painter has about 300. With art as a carrier and cross-border cooperation with various industries, innovation and integration in finance, hotel, tourism, real estate, education and other industries is an important feature of the company’s art management. 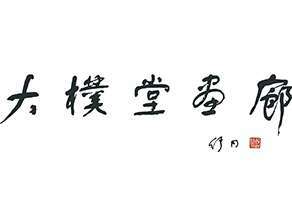 Since 2008, he has organized a famous exhibition of famous Chinese characters and figures, and has held exhibitions for ten years and successfully held it for 14 times. It has become one of the best exhibitions for the Ministry of Culture to recommend Chinese traditional culture to foreign countries. The “Artist’s Grape Edge” project is also a model for us to successfully try cross-border cooperation. So far, the 16th “Artist’s Grape Edge” oil painting exhibition has been held, including a series of activities such as exhibitions, lectures, tastings, art salons, etc. In this way, a large number of outstanding young and middle-aged oil painting artists were recommended, which stimulated a wider art consumer group and gave new vitality to the art consumer market.